Heb 13:17 Obey your leaders and submit to them, for they are keeping watch over your souls, as those who will have to give an account. Let them do this with joy and not with groaning, for that would be of no advantage to you. 1Pe 4:4-5 With respect to this they are surprised when you do not join them in the same flood of debauchery, and they malign you; (5) but they will give account to him who is ready to judge the living and the dead. The Bible plainly teaches that all of us are accountable. Ultimately of course this accountability is to God, but He has commissioned certain overseers in this world such as the civil authorities (see Romans 13). Pastors and elders in local churches are to watch over the souls of the flock, remembering that THEY must one day give an account to the Chief Shepherd as to their faithfulness or unfaithfulness in this oversight. Woe to those who abuse His sheep! So it is not my point in this article to throw the infant out with the dirty bath water and cast away any and all sort of accountability. We are accountable. Children to parents. Citizens to the law. Employees to employers. And Christians, understood the right way, to one another. It is this latter example of accountability I want to focus on here. Christians are indeed accountable to the body of Christ. There is a proper, biblical authority given to the local church for the healthy oversight of the flock. The man in Corinth who claimed to be a Christian but who was sleeping with his stepmother was it? – well, he was to be immediately booted from the church. We are accountable to the Lord for how we live, and thus we are accountable to our brothers and sisters in Christ in this regard as well. But this truth about accountability is very typically perverted and used by false shepherds and other evil people to gain power and control over others that the Lord has never given them. This malignant form of “accountability” does great harm. For example, let’s say you are a member of a local church and Fred, a fellow in the church who is regarded by the masses as a “pillar,” comes up to you and offers to “disciple” you. “We all need accountability you know,” Fred tells you. “If we are going to grow in Christ then we need to be accountable to one another.” And so it begins. Fred gets his hooks in. It sounds so believable, but in fact the Lord has never called us to be accountable TO FRED! To the true church, yes. To the Lord, yes. But I don’t recall seeing Fred’s name in the list. If you have read my books and blog posts over the years you have probably heard me tell of one experience I had with just such a “Fred” who used to be in a leadership position in our church. My wife and I were able to finally purchase our own home rather than live in the church parsonage as we had for years. We looked and looked and finally found the place we live in now (this was nearly 20 years ago). Wicked people (some are women as well) love to use this accountability business as a tool for enslaving others. 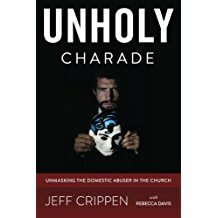 And as you think it through biblically, you begin to see that the Christian, indwelt by the Holy Spirit, taught by the Lord Jesus, his way illumined by the Word, does not need some other human being in a weekly meeting running him through a checklist of questions, in order to walk in holiness. Yes, we meet together as a church to encourage one another to love and good deeds (Hebrews 10), but the spirit of fear has been cast out when we came to know Christ and instead we experience the Spirit of adoption as sons. At best, these accountability gurus are rank legalists who do not know the grace of God in Christ. At worst they are out and out wolves prowling around looking for sheep to devour, agents of the evil one. So beware. Beware this accountability business. As far as I can see, the large majority of it is false, unbiblical, and harmful teaching parading as Scripture but in fact is the mere creation of man. Next ›Why is Our Default Tendency to Focus on “Fixing” the Evil Person Rather than Helping His Victim?